We’ve started a new monthly series for members of our Forum, where we’re highlighting a different BJA Member to hear their story. As a special treat, I wanted to share our interview with “Joe” because I enjoyed it so much. If you take the time to read it, I guarantee you will learn from his experience and be inspired by it! 1. 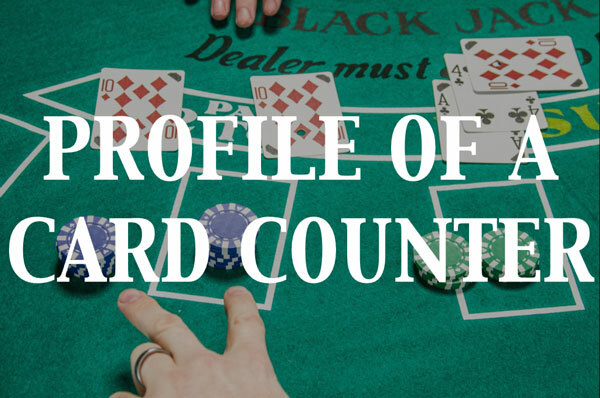 How did you get into card counting? Before I knew card counting even existed I’d always like playing low stakes blackjack. During college we’d take trips to Atlantic City and the first time I ever played blackjack my roommate and I played for 15 hours straight. I never bet much more than table min so I wasn’t a big time gambler, but I’ve always liked playing the game. After I saw the movie 21 I was skeptical of the story and wanted to do more research. I eventually found my way to Ben & Colin’s video on youtube “Top 10 Mistakes in 21 The Movie“. I kept browsing through their videos and wasn’t sure what to think of these guys, I mean they looked like two regular dudes who weren’t MIT math nerds, filming these videos in their house, I just wasn’t sure if they were legit. The youtube videos got me to watch the Holy Rollers documentary and all my questions were answered. It seemed like yes these guys did know what they were doing they have a lot of experience and best of all they offer training through their website. I didn’t have any work lined up the month I stumbled upon BlackjackApprentiship.com so I enrolled and all I did was practice for the next several weeks. 2. What are the biggest challenges you’ve faced/had to overcome? Starting off my career losing my bankroll within the first 5 sessions due to over betting and poor bankroll management was challenging. I had dug myself in a hole and made ZERO dollars for the next 320 hours of play. Not only was my game not 100% but I had started off way negative. I was unprofitable for months trying to dig myself out of those beginning mistakes. I started to use the BlackjackApprentiship mobile app to practice more and was finding I was making a lot more mistakes than I thought. 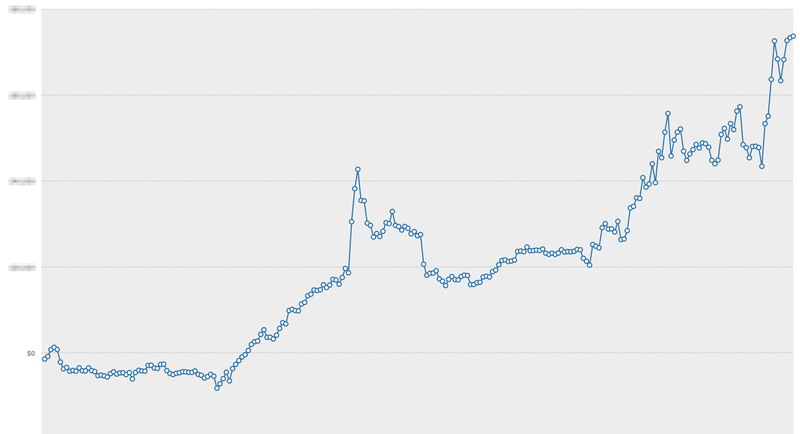 I kept practicing, improved my game, and noticed a steady increase in profit (with occasional down spikes of course). The next biggest challenge was facing my first real long losing streak after I knew my game was improved. I lost 34% of my bankroll in the first 4 days of my trip and day after day after day I lost again. I kept playing and 80 hours into the trip still no sign of getting better. During this time I questioned everything and disregarded all my previous months wins. I thought it would never end but on the last two days of my trip I got 90% of everything I lost during those 80 hours. 3. Any advice you would give to others? Anything you wish you would have known? At the beginning I wish I would have known better bankroll management and how often you will lose during high counts. When I first started I thought, “Oh the higher the count the more likely it is you’ll win more hands.” I over-bet because the true count was an unheard of +8 and lost all my first bankroll that one shoe. Just because the count is in the stratosphere does not mean you can disregard your bet spread & bankroll management. However I’m actually grateful I had those terrible losses in the beginning because if I had started off winning them all, I may have never questioned whether or not my game had flaws. 4. Any highlights of your career so far? 1.) Meeting Ben & Colin was a highlight for me. I spent so many hours training and using their resources it was cool to see the actual guys who built the methods I learned and implemented their system. 2.) Getting into this I had watched all the interviews, read a bunch of articles, and listened to any podcast about the infamous Tommy Hyland so he was defenitely a blackjack hero to me and to be able to see him in person & listen to him speak at the bootcamp was awesome. 5. What’s your favorite thing about being a card counter? It’s a toss up between free steak dinners, comped massages, stuffing wads of benjamins in my pockets, & splitting 10’s. I’ll probably go with splitting 10’s. 6. Any memorable story you’re willing to share? I played a long trip recently and was ready for it to be over. 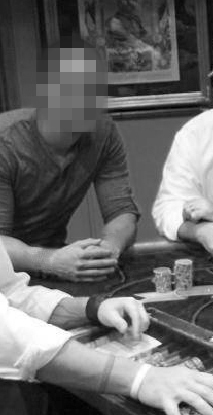 In order to get it cut short I was self sabotaging & joking with the dealers and pit boss when they asked me what I did for a living I kept saying I was a professional blackjack player. So the PB kept referring back to that joke. Anytime a supervisor would come to relieve him he would give them the run down of what all the players bought in for and when he came to me he’d tell them in a joking tone, “And theres Joe he’s a professional card counter.” Ironically this gave me more playing time than any other casino on my trip. The first time I spread my bet by 32 units I’d yell out to the pitt boss, “Better call surveillance on this one!” And at the beginning of the shoe when I’d drop down to table min and I’d yell out, “Uh-oh! I’m dropping my bet back down to table minimum, call upstairs!” Everyone was laughing, it was fun, and sounds crazy but I think it actually worked. It extended my trip by a few days and I was able to win a lot. 7. What’s the most you’ve ever won/lost in a day? How did that feel? How did you respond? Biggest win in a day was $24,000. Biggest loss was the very next day for $15,000. The table had amazing rules with only a .13 house edge so the win felt expected it felt deserved. The loss I’ll never forget, it was graveyard shift and this juicy table with an almost break even house edge seemed to be betraying me. I was so stressed out at the table after I finally gave up that night and went to my comped suite I got a fever and didn’t play for another 3 days until I got better. I was devastated, but I learned that even a game with such a small house edge can still possess insane variance. 8. How long have you been card counting? I started training Jan 2013 and went full time October 2013. As of Jan 2014 I’ve logged 765 hours. So still very young in the game! 9. How long did it take to trust your skills? How do you know you’re any good? Joe748 totally exceeded our expectations for the interview. I hope it’s valuable, entertaining, and inspiring for you! Until Next Time, Keep Generating Positive EV!